In order to trek in the Annapurna region one has to get to the city of Pokhara. Left my hotel at 6.30 a.m. in order to catch a bus from Kathmandu to Pokhara. 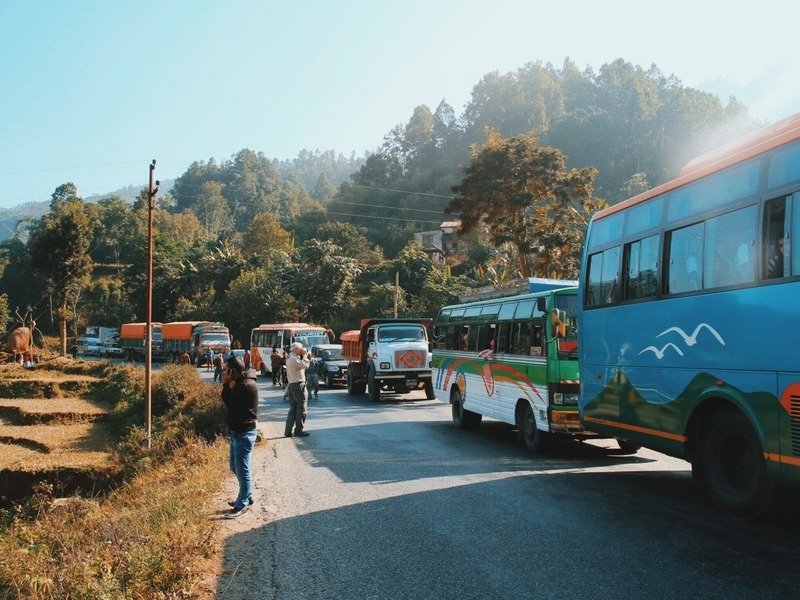 It's a 200 kilometer drive from Kathmandu to Pokhara, and while the highway linking the two cities is functional, the drive can get a l..